The merger of homegrown e-tailers Flipkart and Snapdeal is looking increasingly uncertain with SoftBank, the largest shareholder in Snapdeal, pulling away after failing to get all the stakeholders to agree to the deal after six months of negotiations, a person familiar with the matter told VCCircle. A proposed meeting of the legal and investment banking teams scheduled for this week has now been called off, another person close to the developments said. The third-party consultants involved in the merger have been told to put their work on hold, and a major announcement on the status of the deal is expected later today, this person said. Even as the deal talks progressed over the last few weeks, following due diligence and a valuation exercise, contradictory signals have come from the Snapdeal camp. Founders Kunal Bahl and Rohit Bansal, for example, have given the impression that they are exploring other options, including joining forces with e-tailer Infibeam. Reports of their preference to stay independent as a leaner organisation have also been doing the rounds. In fact, after the Snapdeal board agreed last week for negotiations with Flipkart on the revised offer, it became clear that the founders continued to oppose the deal. Several people involved in the deal had then expressed doubts whether it would go through as differences over the terms were far from being resolved. E-mail queries sent to Flipkart, Snapdeal and SoftBank seeking confirmation and more information did not elicit an immediate response. The impasse comes after multiple related developments last week, such as reports of the Snapdeal board okaying the deal and the sale of unit FreeCharge to Axis Bank for $60 million, which has now provided Snapdeal the much-needed ammunition to engineer a deal that tilts in its favour. Besides, Snapdeal is also looking to sell Vulcan Express, its logistics arm, for Rs 100-120 crore. 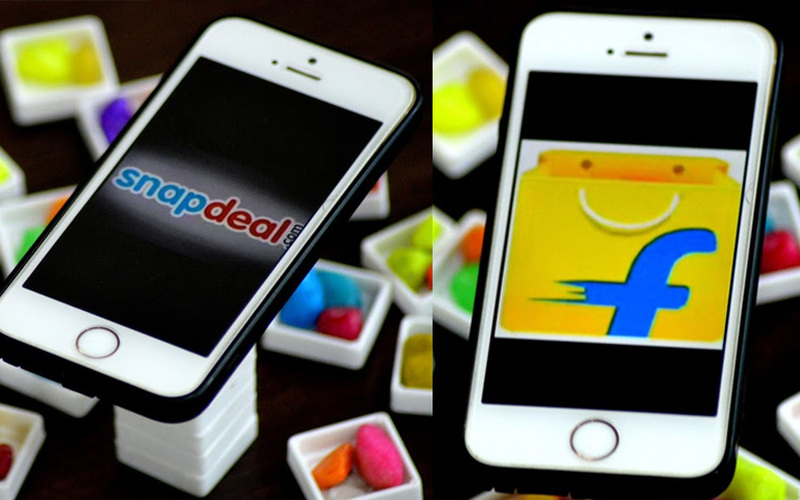 Snapdeal's founders are now pushing to retain the e-commerce company as an independent entity. Besides, the chances of an Infibeam-Snapdeal merger, reports of which have been doing the rounds, also look slim. A third person aware of the goings-on at Snapdeal corroborated this: "The deal is unlikely to happen as there are a lot of differences among shareholders. Flipkart's condition on getting each shareholder's approval is next to impossible. Also, Snapdeal founders are not really keen on merging with Flipkart and they want to run Snapdeal as an independent entity." However, Mint has reported that the deal reached the current stalemate due to multiple reasons. Apart from opposition to a sale to a rival and the preferential payouts given to Nexus, Kalaari Capital and Snapdeal co-founders by its minority investors, a serious bone of contention seems to be the indemnity clause put forth by Flipkart. The clause holds Snapdeal’s board accountable for the representations made to Flipkart about the company’s financial statements, business, structure and other matters. Snapdeal wants a toned-down version of the clause. Besides, SoftBank reportedly wants Flipkart to change the structure of the merger, which, in its current form, imposes tax liabilities on SoftBank. VCCircle could not ascertain what exactly these obligations are. The protracted Flipkart-Snapdeal merger talks have gone through several phases ever since VCCircle first reported the exploratory talks.